Item # 296613 Stash Points: 1,499 (?) This is the number of points you get in The Zumiez Stash for purchasing this item. Stash points are redeemable for exclusive rewards only available to Zumiez Stash members. To redeem your points check out the rewards catalog on thestash.zumiez.com. Show some love for your favorite 90's rapper with the B.I.G. Black Crew Socks from Stance. 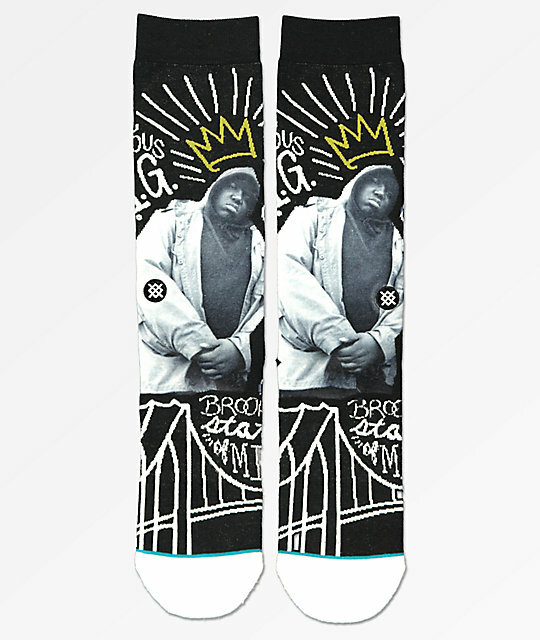 Sicker than your average, these tube socks are designed with a black and white graphic of none other than The Notorious B.I.G. with white lettering and doodles surrounding. B.I.G. 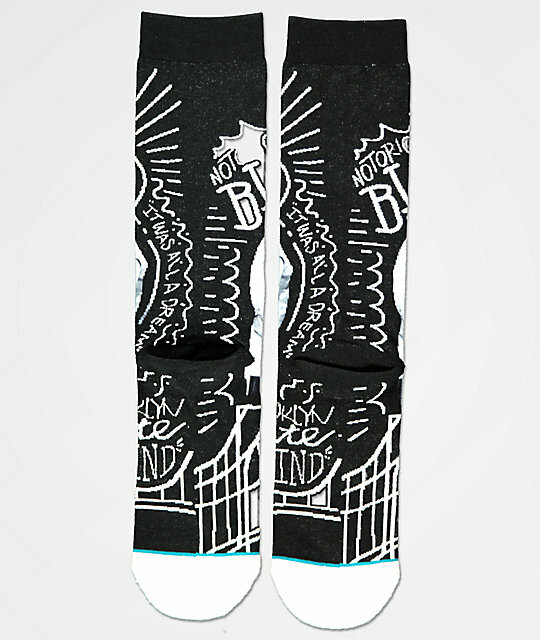 Black Crew Socks from Stance. Black & white colorway with Biggie graphics throughout.